So you want to stay at a hotel. This is an easy process, isn’t it? 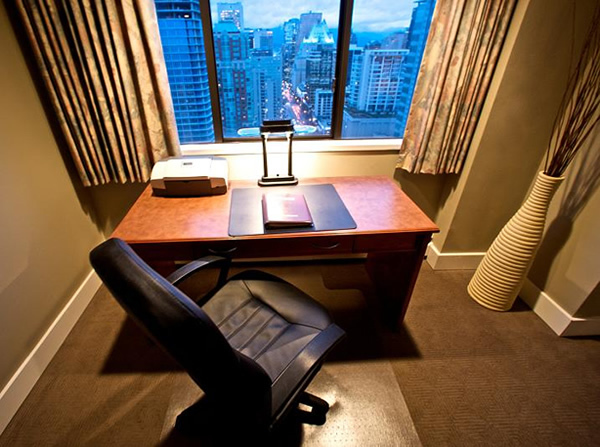 Today we have so many choices when it comes to booking hotel rooms. You can go to trip advisor to review the hotels in the city that you are going to (this is my favorite) or Expedia, booking.com hotels.com to name a few. There seems to be new OTA’s “Online Travel Agents” popping up everyday all with the same standard line, best deal, book now, only 3 rooms left. You can easily go directly to any hotels website our website is www.century-plaza.com or you can call the destination directly and speak with someone who is intimately knowledgeable about the property. Many people prefer the ease of reserving online with the property, they know what they want and where they want to stay so then it’s just the matter of securing a room in the right neighborhood at the right price range. Sometimes a $69.00 room in “the heart of the city” isn’t the best place to stay even if the price is appealing – I would go back to Trip advisor and see how many homicides have taken place there in the last 5 years. – Just sayin. You have made your reservation now you sit back and relax until you get to the hotel and check in. Have you ever wondered what happens from the hotels side? You call looking for a date and a specific room type. As the potential guest this is where you decide yes or no, “is that the best rate you have”? “Can I get an upgrade? Can I check in at 9:00 am, will there be children with 100 metres of the property? Some people don’t want to be in hotels with children. The housekeeping supervisor double checks all cleaned rooms and then marks the room rentable in the hotels property management system (pms) and the front desk does their juggling act. (It’s starting to sound like we are a group of circus preformers. The front desk tries to assign your room now based on available clean rooms that fit your request. Studio, high floor, water view, king bed. With every additional request made by you it is more and more difficult to meet your “explicit needs” for example high floor might mean any room above the 20th floor – you now limit yourself to the top 10 floors. Rooms with king beds in the studio category above the 20th floor might mean we only have 10 of those rooms available in total. If you add a water view there might be only 3 of these in total and two of these rooms are already rented to other guests so now there is one room that fits “your explicit request,” but we have had 15 other guests with the “same explicit request.” At this time the front desk team has to determine which is the most important request to you as our guest without knowing anything about you. Is it the King bed because you are 7 feet tall or is it the water view because you were born under a water sign like me-I’m Sagittarius and water is very important to me? We do have a water view but the room has 2 double beds – will this work for you? You arrive to the hotel and we discuss the actual availability of the guest room that you want, what can you live with or without based solely on our availability. Keep in mind all agents want to satisfy you to the best of their ability. You and the agent come to an agreement that you have to have a king bed but the only king bed we have that will have a partial view of the water is on the 15th floor. The fifteenth floor is higher than the tenth floor so you say “lets do it”! The front desk agent will deftly assign your room while you fill out the paperwork and provide vehicle information for parking. The agent will also authorize your credit card for the value of your stay with an additional $200.00 authorization for incidental charges. This gives you the ability to make pre approved charges from the outlets to your guest room. Restaurant www.cprime.ca and Spa www.absolutespa.com are the two main ones that come to mind. Your agent will prepare your guest room key and ask if they can assist you with a reservation in the restaurant or the spa. They will send you away to your room where you will spend the next few days. If there are special requests from a family member for your room (Sometimes flowers or wine or cookies) the front desk will advise the appropriate department to bring up your amenity as requested. This is always a wonderful surprise for the guest when it happens. Suggest to your spouse that he or she sends you a nice plate of chocolate covered strawberries or a Kale salad – depending what you are into. Housekeeping is now notified that you have checked in and your room will require servicing the following morning. Your housekeeper will knock on your door in the morning unless you have a do not disturb sign on your door and will offer to refresh your towels or make your bed and generally spruce up your room, if you don’t want service at this time you can request for them to come back later when you are out of the room. Another wonderful thing about leaving your room in the morning and coming back in the afternoon is coming into a refreshed room. Whether you are at the hotel for business or pleasure you will most likely dine in the restaurant for breakfast and make sure that you check out the lounge at the end of your day for a beverage (Happy hour from 4:00 pm to 7:00 pm) – I enjoy going into a hotel restaurant on a second or third day and having the same server, you can always discuss your previous days activities and your plans for the day, a good server might even have some suggestions for your day. Try The Art Gallery, they have a great “Emily Carr” Exhibit or they have a ghost train in Stanley Park in October. The concierge, bellmen & doorman are an amazing font of knowledge ask these guys anything they can often times get you tickets to special events or just hail you a cab. Departure day comes and its time to check out – Your clerk will present you with your folio for review and after you have confirmed all charges are accurate they will finalize the pre authorized amount of your stay and send you on you way always making sure to invite you back. The housekeeping team will now clean your room for the next guest and the cycle continues. Hotels are like little cities or circuses as mentioned earlier with all departments having to work together cohesively to create the best experience for you our valued guest. Enjoy your next stay with us @ The Century Plaza Hotel!